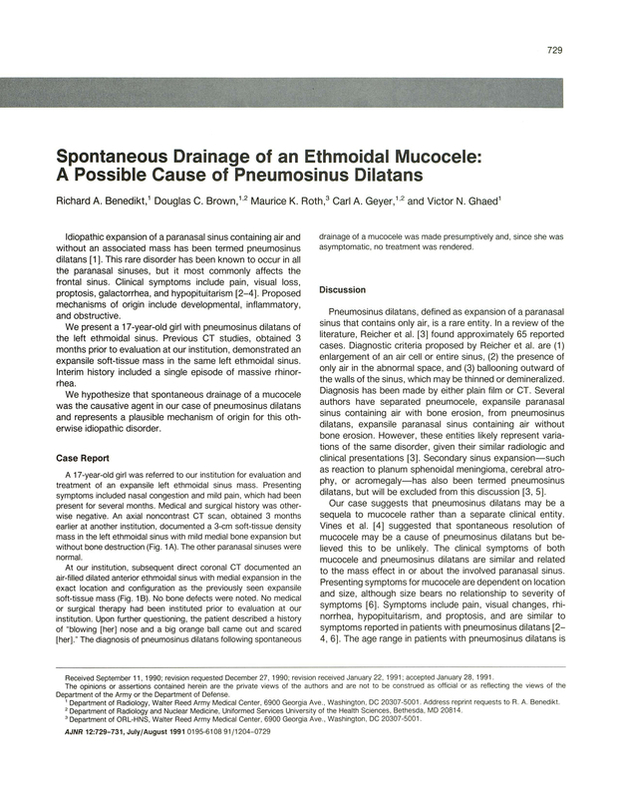 Spontaneous drainage of an ethmoidal mucocele: a possible cause of pneumosinus dilatans. Department of Radiology, Walter Reed Army Medical Center, Washington, DC 20307-5001. You are going to email the following Spontaneous drainage of an ethmoidal mucocele: a possible cause of pneumosinus dilatans.